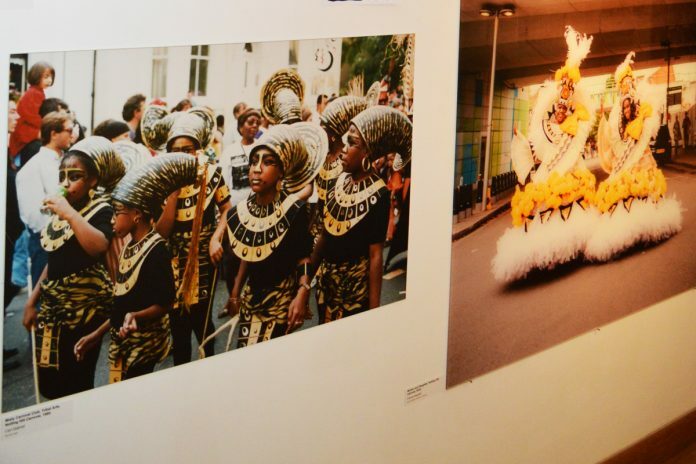 Move fast if you want to see a new exhibition of photographs of Notting Hill Carnival, from the mid-1970s to the present. The opening night on Thursday at The Muse Gallery in Portobello Road was a convivial occasion that brought together Portobello’s young and stylish arty set with old hippies, carnivalists, photographers and locals. Also present were Ebony Steelband supremo Pepe Francis, wire sculptor and photographer Carl Gabriel and the ever-youthful Sister Monica Tywang. Cannabis legalisation campaigner Lee Harris gave an entertaining talk about the area and his run-ins with the law when he ran local ‘headshop’ Alchemy. Previous photographic shows have tended to focus on mas as the predominant visual element of Notting Hill. Jump Up uses a broader brush on the subject, as it covers sound systems, crowds, stalls and steelbands in addition to the glorious confections of steel, silk, sequins and feathers that create the classic imagery of Carnival. This is Notting Hill Carnival as it is actually experienced by most of us. While many of the pictures serve as evocative records of carnivals past and present, they are also artworks in their own right, created by top professional photographers. What’s more, you can even take them home ‑ selected prints are for sale, with a percentage of proceeds going towards the Red Cross Grenfell Fund. When talking to some of the guests, it became apparent that more precious photo archives of Notting Hill are waiting to be revealed. Many have lain unseen for years, even decades. 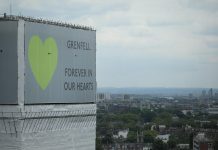 So, as well as rekindling the memories of those who were there and opening the eyes of those who weren’t, Jump Up will hopefully encourage others to come forward and share their images. 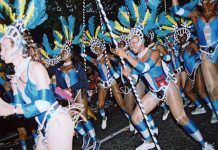 If you head to The Muse on Thursday 27 September (6‑8pm) you can hear Dr Marl’ene Edwin SFHEA, FRSA and Joan Anim-Addo of the Centre for Caribbean and Diaspora Studies at Goldsmiths discussing the history and heritage of Carnival arts through the generations. On Friday 28th it’s the turn of Carl Gabriel, who will be talking about the art, craft and science of wire-bending and also his documentation of the early years of our carnival. 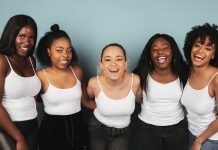 The organiser of the show is Street Event Company (SEC), which, somewhat controversially, was awarded the management contract for Notting Hill Carnival 2017. Now freed of those responsibilities, in 2018 SEC has been concentrating on helping the team running Meanwhile Gardens and some of the static sounds with their licensing and admin. SEC put on the show in collaboration with Youth Club and Bigga Fish, assisted by Arts Council of England funding support. It has also started an imaginative project to enable local youngsters to learn photography from experienced practitioners. Some have already put their new skills into practice at this year’s carnival. The exhibition runs until 30 September, from Thursday to Sunday, at The Muse Gallery, 269 Portobello Road W11 1LR (www.themuseat269.com).